Dave has been getting more and more active filming live shows and also lessons for his online school. Zoom cameras have been an important part of that filming. Dave has also been traveling with Zoom cameras. 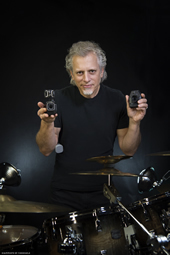 With variable light and zoom settings, these cameras allow him to capture all the action behind the drums and on stage with Mike Stern, Chick Corea, and more. 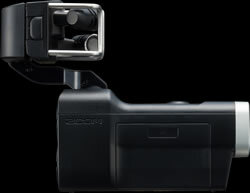 Dave's primary camera when he plays live is the Q8. It has several zoom, resolution, and lighting modes. The various wide angle settings make it easy to crop shots perfect. XLR inputs (and great microphones) make it possible to pick up great sound. Two Q8s and two Q2Ns are used in the studio for Dave's video lessons. Here is more information about each camera. You can learn more on the Zoom Web site. 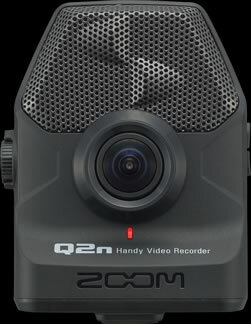 Ten "Scene" presets allow you to record in a wide range of environments, including low-light locations where the Q2n is designed to thrive. The presets range from "Concert Light"—which automatically adjusts for changing lighting conditions—to "Concert Lo-Lit" for dimly lit rooms. And there are scene settings tailored specifically for filming in jazz clubs and rehearsal studios, as well as outdoors. Click here to visit the Zoom Web site.